Aging is often accompanied by growing health issues. Seniors often face a variety of health decisions that can be fairly overwhelming. As a caregiver and family member, you may need to step in and assist your aging loved one with difficult decisions. If you want to make sure your loved one is making the best possible choices for his or her health, there are a few things you can do. No one can make the right healthcare decisions if they know nothing about their health. Do what you can to provide your loved one with the necessary information. Consider asking if you can visit the doctor together, and research any conditions your loved one might have. Look into activities, therapies, and treatments that can help your loved one manage the problems he or she faces. However, you may want to avoid overwhelming your loved one with information. Share highlights and summaries of medical information instead of spending hours speaking in medical jargon. A highly trained, experienced caregiver can be a fantastic source of information and support for your loved one. In Sacramento, senior home care agencies can be a great boon to seniors. With the help of the caregivers at Home Care Assistance, your aging loved one can lead a happier and healthier life. We offer a revolutionary program called the Balanced Care Method, which encourages seniors to eat nutritious foods, exercise and socialize regularly, and focus on other lifestyle factors that increase life expectancy. Many seniors fear discussing physical or mental health issues because they don’t want to look fragile or old. Accept that your loved one may not come to you for help with decisions, so you may have to bring it up yourself. Pick a time when everyone is calm and not in a hurry to bring up health concerns. Ask your loved one how much he or she wants you to be involved and what you can do to help. Try to emphasize how much you love your parent and how concerned you are instead of sounding like you’re judging his or her health choices. There may come a time when your loved one is no longer capable of making decisions independently. Of course you may disagree with certain choices occasionally, but if your loved one is so impaired that he or she is no longer safe, it’s time to step in. In this case, consult with a physician about declaring your loved one legally incompetent, and talk to an attorney about getting power of attorney for your loved one. Having power of attorney allows you to make decisions about your loved one’s health. 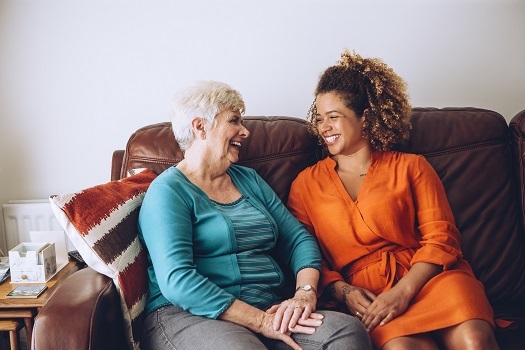 If you’re the primary family caregiver for a senior loved one living in Sacramento, live-in care is available if your loved one’s health has become too difficult to manage without professional expertise. At Home Care Assistance, we take measures to help seniors prevent illness and injury by assisting with exercise and mobility, preparing nutritious meals, helping with bathing and other personal hygiene tasks, and much more. Even if you’ve stepped in to help your loved one manage his or her health, it’s important to remember no one likes losing their independence. Help your loved one retain a sense of freedom by offering choices instead of bossing him or her around. For example, saying “Would you rather take your medicine now or wait until your television show is over?” may be more effective than just ordering your loved one to take medication. Seniors often feel more comfortable receiving help from professional caregivers. If your elderly loved one needs help maintaining a high quality of life while aging in place, reach out to Home Care Assistance, a trusted provider of Sacramento in-home care. Our caregivers provide transportation to and from medical appointments and social events, nutritious meal preparation, assistance with daily exercise, and help with everyday tasks like bathing, grooming, and light housekeeping. Reach out to one of our Care Managers today at 916.706.0169 to schedule a free in-home consultation.